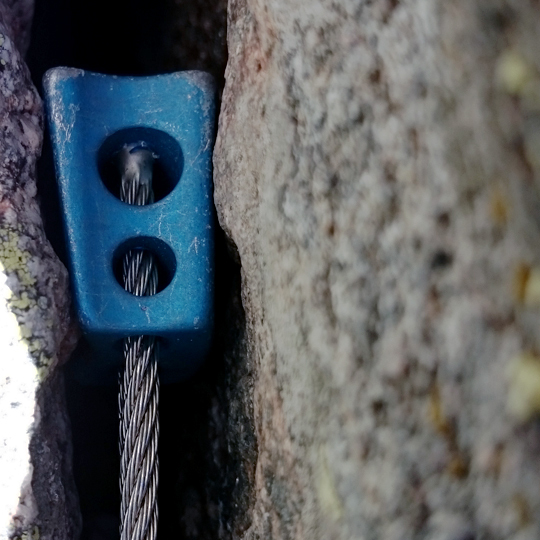 When I learned how to trad climb seven years ago, I got used to using straight-tapered nuts. Despite the ease of cleaning them, this design, which was popular in the 1970s and '80s, fell out of vogue. This is because curved nuts are just more versatile and fit in irregular placements, but they do have a tendency to get stuck. Though I still often carry my old set of straight-taper Frostworks Sentinel nuts (because I like their ease of placement and removal), I also use Black Diamond Stoppers and ABC Huevos, which both have subtle curves and don't fall out of placements like Sentinels can when pulled sideways. Most recently, I started carrying Metolius Ultralight Curve Nuts. I've been testing the Ultralight Curve Nuts for the past four months throughout Colorado's Front Range, and have taken them up some 100 trad routes from single to multipitch outings rated 5.7 to 5.11 R. Throughout all the action they've seen, I've found them to hang up on any small protrusions in the rock, and they're harder to clean than any other nut I've used. When first learning to place them, some frustration might stem from their tendency to stick in odd spots. I've learned that a gentler hand and more careful placement eases that problem, but unless your partner has also practiced placing the Curve Nuts, using more traditional shape like a Stopper is better when swinging leads. Both the wide and narrow aspects of the Curve Nuts have a convex arc, with a matching concave cutout on the opposite face. The concave faces have two flat rails along the edges that sit on the rock and grab onto irregularities. Once they're in, they aren't going anywhere. I lost one when my partner couldn't remove it. I spoke with Metolius Vice President Brooke Sandahl about my concerns with cleaning them and he told me: "That's been what we've heard. But, isn't that the point of protection? I don't want something that'll just work itself out of a crack. I'd rather have my second fight with a nut, but know that I'm OK as a leader, especially when I'm sketched out." I agree with his assessment when applied to difficult single pitch and short multipitch, but they cost too much time on long routes. Metolius nuts are CNC milled (computer-controlled machining) and 30 percent lighter than the previous generation of Curve Nuts. The weight savings, in part, comes by replacing the looped and swaged cable—as seen on most nuts—with straight steel cables press-fit into plugs milled into the heads of the nuts. They are UIAA certified, and rated with a minimum breaking strength of 7 kN. There are ten nuts in a set, with a range from .36" (9.1mm) to 1.2" (30.5mm) and are color coded to roughly match Metolius's family of cams. The smallest Curve Nut is approximately the same size as a Black Diamond number 5 Stopper, so you'll have to supplement with microwires to complete the set. After four months of use, the wires still look new, and the heads have the minor dings and dents expected of gear that's been used. Though I'll break out the Ultralight Curves for climbing hard, single-pitch trad routes—where I can just clean the pesky placements on rappel—I prefer other nuts because of ease of use. That said, the Ultralight Curves are the most confidence inspiring passive gear on my rack. Pros: Solid and confidence inspiring when placed properly. Fits in irregular placements. Cons: Time consuming to place; difficult to clean.